Today, we shed light on how to improve the default Magento 2 shopping experience by eliminating reloads and making it faster. You only need a tiny Magento 2 module – meet the UberTheme UB QuickView Magento 2 extension! 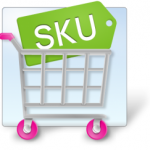 This tool adds a popup window providing store visitors with the ability to view product details and place products to cart without leaving a catalog page. How does it work and what features include? Below, we provide answers to these and other questions. 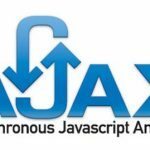 First of all, let’s describe the extension’s functionality through its features. The UberTheme UB QuickView Magento 2 module fully leverages the advantages of the AJAX technology. It means that the core functionality – the popup window with product details – is available without any page reloads. A customer simply clicks a button and gets a new window on top of the current one without refreshes. Furthermore, the UberTheme UB QuickView Magento 2 extension provides a multistore support. Thus, you can create a separate configuration for each store view. Multiple languages are supported as well. And your visitors can view product details nearly everywhere. As for the window configuration, it includes Add To Cart button, allows to submit product reviews, and supports all product types: simple, configurable, download, bundle, virtual, and grouped. 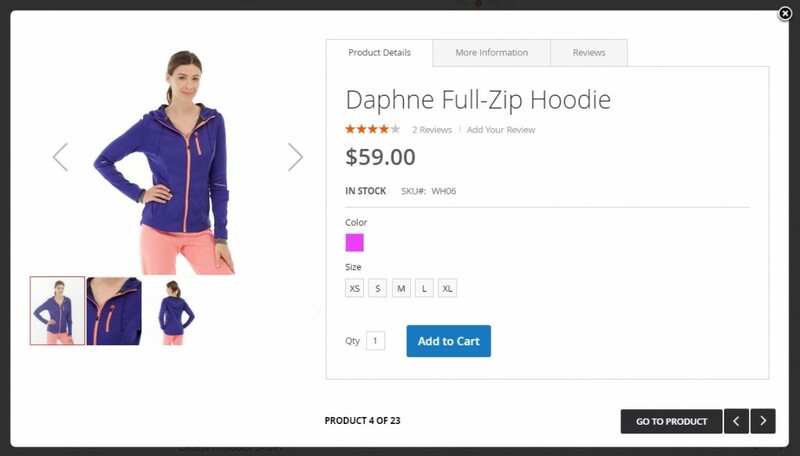 Furthermore, the popup includes previous/next product navigation, so a customer can move between two products without returning to a catalog page. Type and speed of transition can be configured as well. The same is about the initial width/height of the QuickView popup. It is also necessary to mention that you can show/hide such elements as quick view title, current state, Go to Product button, as well as product details and reviews. The UberTheme UB QuickView Magento 2 extension allows to customize the appearance of the popup via the additional CSS class. It automatically applies the style of your chosen theme. And the Magento 2 module is fully responsive, so you don’t have to worry about your mobile clients – they will get the same seamless shopping experience as the desktop ones. Now, when you are familiar with the core features of the UberTheme UB QuickView Magento 2 extension, let’s find out how it is designed from the backend perspective. Go to Stores -> Settings -> Configuration -> UberTheme -> UB Quick View. Here, you can configure the extension. First of all, select a store view you want to apply changes to. As mentioned above, you can create unique configuration for each store view or apply the same one for all websites. Now, we’d like to draw your attention to available settings. Despite the store view you choose, the setting of the UberTheme UB QuickView Magento 2 module are divided between two sections: General Settings and Popup Settings. The first section allows you to enable/disable the quick view, create a label for quick view buttons (note that the default label is “UB QuickView”), specify Product Items (class) to show Quick View button (it is possible to specify multiple CSS classes here), and decide where to append QuickView buttons (a custom CSS class can be specified). 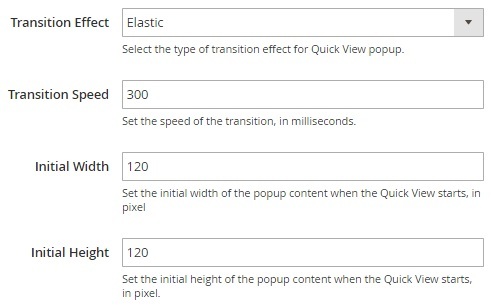 In Popup Settings, you select a transition effect and speed as well as initial width and height. 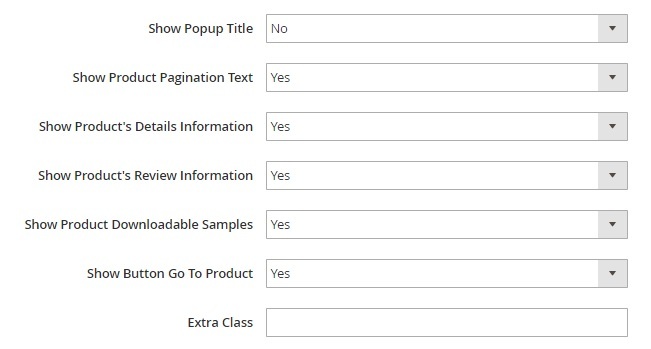 Next, you decide whether to show/hide such elements as popup title, pagination text, product details, reviews, downloadable samples, and Go to Product button. Besides, you can add an extra CSS class (Extra Class). These were all backend settings, so let’s see the popup in action. Hover over a product image and the quick view button will appear. As you can see, the popup contains image gallery, shows various product details, provides a tab with more information, as well as a tab with reviews. Besides, there are pagination and Go to Product buttons below. And while surfing between products is possible without reloads, an ordinary product page can be opened in a new tab. A quick view window essentially improves the way customers behave on an ecommerce website. There are much less reloads, so visitors face less stress and chances they become buyers increase. As for the UberTheme UB QuickView Magento 2 module, it fully satisfies modern ecommerce requirements, so you get a tool with admin-friendly backend interface and intuitive frontend section. As for the price, the UberTheme UB QuickView Magento 2 extension costs just $89. 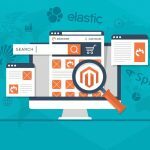 Note that there is the installation service for extra 50 bucks, so if you don’t know how to add the desired functionality to your Magento 2 storefront, specialists will help you.